All tracks composed, performed, record and mixed at Amann Studios/Vienna and c-street/Paris except "Glide" which was recorded live in Paris and then edited and mixed at Amman Studios. Anthony Pateras's prepared piano on "The Colour of Three" was recorded at Amman Studios in 2005. Mastered at Skye Mastering, on 1st October 2008. ℗ & © 2008 Touch, all tracks published by Touch Music [MCPS]. Made in England. Released in a four-panel digipak. I think they didn't have to trim the album down by two songs for the vinyl version, both sides would total around 25 minutes each if done right without rearraging the songs. i hate it when people just stealing the work from any artist just for fun or selling for the cheap lowlife money thats not belong to them.and not wanne support the artist for all his work! this is a great album from a even greater musician.he is like Tim Hecker only a bit rougher on his songs,they are all the best in wat they making/playing for us the musiclovers who dream from a world with only such fantastic scapes! again a nice and strong album with beautifull artwork! 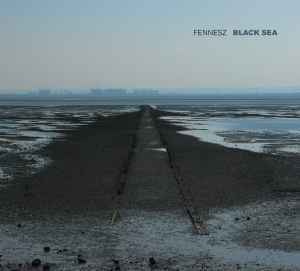 The new album from Fennesz is an absolute masterpiece. Perhaps even better than 'Endless Summer' and definitely much better than 'Venice'. Acoustic guitar and glitchy electronics are mixed in seemingless contrast to produce a delicious audio treat. 'Grey Scale' in particular will appeal to those who have been waiting for so long to hear something that compares to 'Endless Summer'. Fans of Fennesz's earlier works should digest this as soon as possible because it is his most comprehensive work to date. I can see a week before this Fennesz's record was published in internet, available for all people who wanted to download. Is that slap in the face necessary that for one of the best and last musicians in show us new landscapes, new sound pictures, that have been working hardly in this album? The romantic concept of the album has been derided by people who don't feel the music, only feel the megabyte, the more absolute nothing, music with no artist, no title, no feeling. Only the space in a computer can describe landscapes as the Fennesz's music or master John Wozencroft picture design? Discover that genious through the album. Thanks to Fennesz and to the best label of the year Touch Records! Swim in the Black Sea.